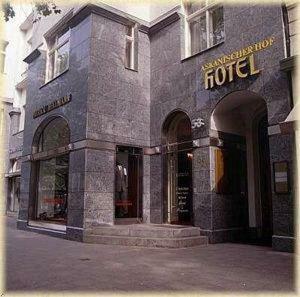 This hotel in Berlin's Wilmersdorf district offers free internet terminals, a 24-hour bar and free WiFi in all areas. It is a 10-minute underground journey from the Kurfürstendamm shopping street. 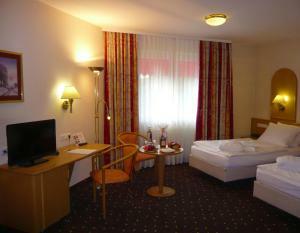 All rooms at the Ibis Berlin City West include a TV and a private bathroom with hairdryer. Breakfast is available between 04:00 and 12:00, including a large buffet from 06:30 until 10:00 (11:00 at weekends). 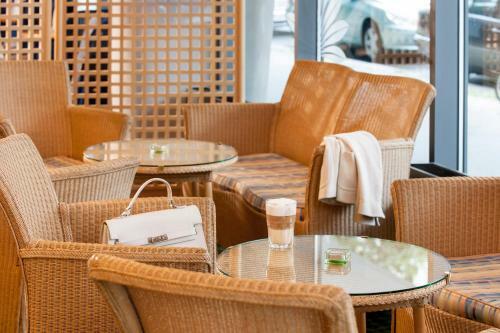 Art'otel berlin city center west by park plaza price per day from €52 Stylish rooms with satellite TV, an international restaurant and free Wi-Fi are offered at this design hotel in Berlin’s trendy Charlottenburg district. 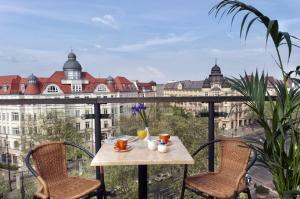 It is just 300 metres from the Kurfürstendamm shopping stree with its legendary boutiques and designer stores. 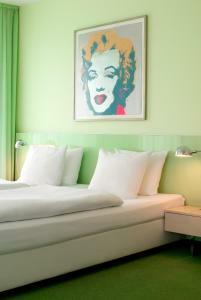 The art'otel berlin kudamm is dedicated to Andy Warhol, and the hotel offers a free guided tour to explain his work. The hotel offers air-conditioned rooms and 250 artworks and photographs taken by Christopher Makos, who was Warhol's best friend. 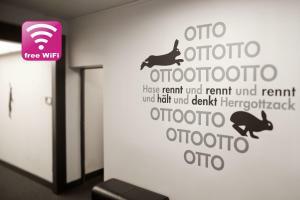 Ibis Berlin City West price per day from €50 This hotel in Berlin's Wilmersdorf district offers free internet terminals, a 24-hour bar and free WiFi in all areas. It is a 10-minute underground journey from the Kurfürstendamm shopping street. 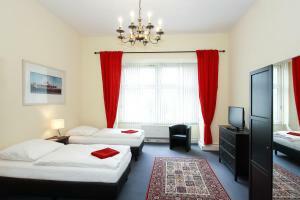 All rooms at the Ibis Berlin City West include a TV and a private bathroom with hairdryer. Breakfast is available between 04:00 and 12:00, including a large buffet from 06:30 until 10:00 (11:00 at weekends). 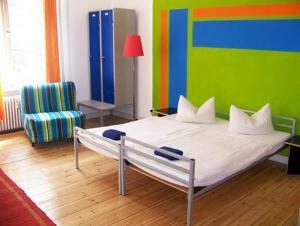 Restaurant Bieberbau, Berlin Guest reviews: 9,4/10 ~ 1,6 km from Ibis Berlin City West Address: Durlacher Str. 15, 10715, Berlin. Cuisine: German. Restaurant Marjellchen, Berlin Guest reviews: 9/10 ~ 1,6 km from Ibis Berlin City West Address: Mommsenstrasse 9, 10629, Berlin. Cuisine: German. Restaurant Bragato Vini & Gastronomia, Berlin Guest reviews: 9,8/10 ~ 1,7 km from Ibis Berlin City West Address: Dahlmannstrasse 7, 10629, Berlin. Cuisine: Italian. Restaurant Salut Mediterranean Food, Berlin Guest reviews: 9,4/10 ~ 1,9 km from Ibis Berlin City West Address: Augsburger Strasse 29, 10789, Berlin. Cuisine: Italian. Restaurant Bar Katia & Dani, Berlin Guest reviews: 9,8/10 ~ 2 km from Ibis Berlin City West Address: Motzstr. 52, 10777, Berlin. Cuisine: Italian.